Our City - Mas Mechanical - Mechanical, auto electrical & airconditioning specialist servicing Mount Isa and surrounding regions. Mount Isa is a thriving city located 200 kilometres for the Northern Territory border and 1,829 kilometres north west of Brisbane. 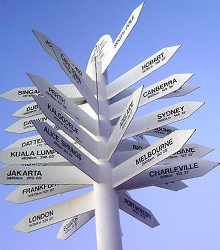 The nearest major city, Townsville is 883 kilometres of The Isa. Considered the hub of the north west region, Mount Isa is well known for its enterprising spirit emerging from the region’s rich mining history. The city is surrounded by the iconic Australian outback and offers an abundance of natural wonders, spectacular scenery and four-wheel-drive tracks. It also boasts many tourist attractions including Lake Moondarra, Outback at Isa, the Underground Hospital and Royal Flying Doctor Service Visitor Centre. With our fabulous weather and laid back lifestyle, Mount Isa is an appealing destination for both tourists and those of us who call this vibrant city our home. Geographically Mount Isa is the second largest city in Australia covering an area of 43,310 square kilometres with a population of more than 23,500 people. Our city has a highly skilled, multi-cultural workforce from all over Australia and across our shores who bring with them the knowledge and experience that has established Mount Isa as a great place to live, work and play. Our thriving city is a major service centre for north west Queensland and is well equipped with all the necessary residential, business and industrial needs. Mount Isa’s climate is “tropical continental” with an average of 9.5 hours of sunshine a day and 50 wet days a year. Three main seasons are experienced in our city with mild temperatures and low humidity from May to August; hot temperatures and low humidity from September to December; and hot temperatures and high humidity from January to April. Maximum temperatures can hit well into the 40s in the summer months. Night time temperatures in the winter months are much cooler with the lowest recorded temperature 2.9 degrees Celsius on July 7, 1984. Mount Isa offers a unique lifestyle – a place of adventure, progression, culture and entertainment. Our region has a range of natural attractions to be explored surrounded by the untamed Queensland outback. Our residents are a friendly bunch who enjoy the best of both regional and metropolitan living. Quality public services, facilities and modern conveniences combined with the social, sporting and community culture that is unique to rural towns creates a city with great lifestyle appeal. Mount Isa is also an industrious city offering a variety of shopping, theatres and events complexes, galleries, nightlife, restaurants and cafes. In the surrounding region you will find quaint outback towns, historic landmarks and natural attractions ideal for weekend escapes. Mount Isa has a solid educational base strengthened by the presence of James Cook University research centres and the Mount Isa Institute of Tafe. There are also more than 10 well equipped private and public schools for families with good teacher to pupil ratios. Our city plays host to a wide range of events including the Mount Isa Mining Expo and the Mount Isa Rotary Rodeo, the largest rodeo in the southern hemisphere. Known as the “City of Champions”, our city boasts a strong sporting culture for all age groups. Sporting legends Greg Norman, Pat Rafter, Simon Black and Scott Prince once called Mount Isa home. 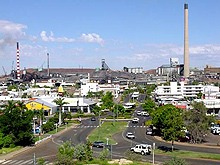 Mount Isa has a strong infrastructure to support its geographical location. The Mount Isa Airport is serviced by Qantas, Virgin, Airnoth, REX Airlines and Skytrans with flights to and from Brisbane, Townsville, Cairns, Gold Coast and Darwin. Queensland Rail provides a passenger service between Mount Isa and Townsville twice a week with daily services between Brisbane and Townsville. Greyhound provides daily coach services between Mount Isa and Brisbane as well as four times a week from Townsville and Tennant Creek with connections to Alice Springs and Darwin. By road, all major highways to the city are sealed. Aircraft and helicopter charter services are also available. Our city has excellent regional broadband ADSL services for businesses and residents in most areas and has 3G and Next G coverage. Famous for its rich mining history, the region was first home to the Kalkadoon people, masterful tool and weapon makers. Their goods were so prized that items such as stone knives, boomerangs, woomera spears and shields have been found as far away as South Australia. In 1923, a lone prospector in search of gold, John Campbell Miles, discovered silver-lead ore about one kilometre across the valley of the Leichhardt River, in north west Queensland. He named his prospecting leases Mount Isa and so our mining history began. Almost 100 years later, the Mount Isa Mine now owned by Xstrata and is still one of Australia’s largest producers of copper ore.